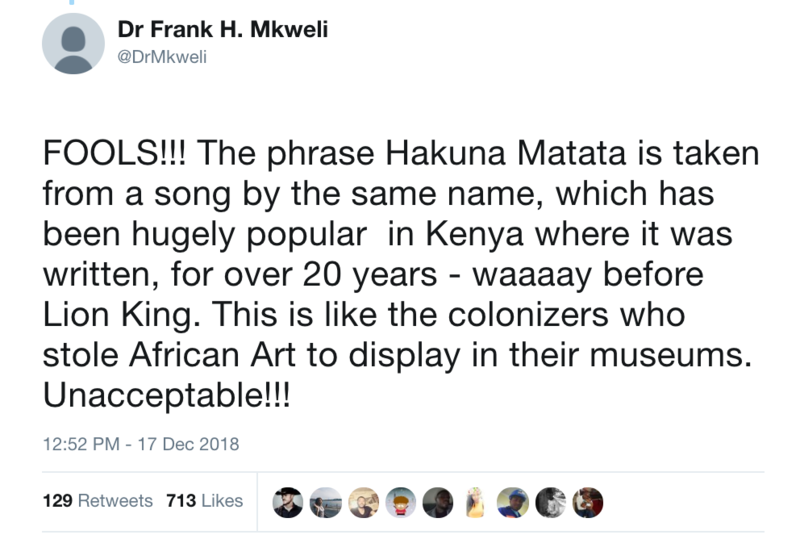 As of this moment, there are almost 59,000 signatures on a Change.org petition accusing Disney of cultural appropriation and "colonialism" for holding the trademark on probably the only Swahili phrase you know, "Hakuna matata." 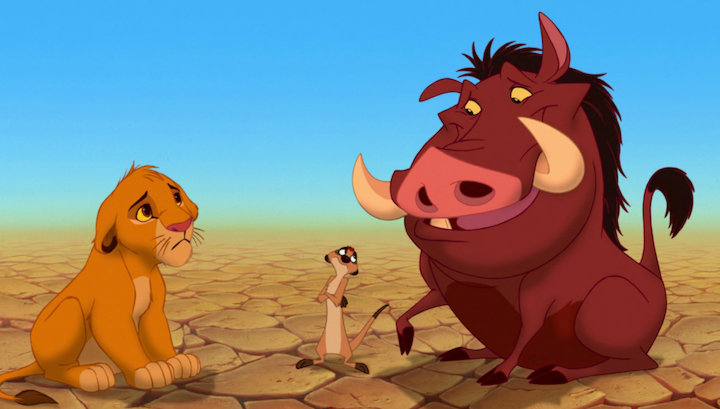 "Hakuna matata" literally translates to "no problem" or "no worries," which you all know from Timon and Pumbaa effectively adopting it as their catchphrase. According to the petition, "the word 'hakuna' means 'there is not here,' while 'matata' means 'problems'." In Africa, the phrase rose to popularity in 1982 when Kenyan music group Them Mushrooms used "hakuna matata" to make the expression something of a "a lifestyle – of fun, of leisure, of happiness,” The Guardian reports. The petition was created by Zimbabwean activist Shelton Mpala, who accuses Disney of commodifying African languages. "Disney can't be allowed to trademark something that it didn't invent," he writes. “Join us and say NO to DISNEY or any corporations/individuals looking to trademark languages, terms or phrases they didn't invent,” the petition reads. In an interview with CNN, Shelton says he started the petition to spread awareness about "the appropriation of African culture and the importance of protecting our heritage, identity, and culture from being exploited for financial gain by third parties." Which, to be fair, happens A LOT. "This plundered artwork serves to enrich or benefit these museums and corporations, and not the creators or people it's derived from," Shelton told the news outlet. This petition comes ahead of the highly anticipated Disney reboot, the trailer of which broke the internet with a record 224 million views in the first 24 hours. Shelton, and the over 50,000 people who've rallied behind him, hope to persuade Disney to drop this catchphrase ahead of the film's release, which TBQH, I can't see happening. Shelton told BBC that this was just the latest in African culture being "exploited in some shape, fashion or form." Though he's not a speaker of the language, which is spoken primarily in Tanzania, Burundi, Congo, and Kenya, he told the outlet that many "Swahili speakers have been utterly shocked" and "had no idea" Disney held a trademark on a phrase from their language. "I always had an understanding that a culture's language was its richness," he went on to say, urging others to support his plea for cultures not to be patented. This isn't the first time Disney's been caught in a cultural appropriation storm. Anyone remember the time they applied to trademark the phrase "Dia de los Muertos" for merchandising purposes ahead of the release of Coco? At the time, Disney said it changed the name of their animated film and dropped their pursuit of the trademark. Liz Lenjo, a Kenyan intellectual property and entertainment lawyer who spoke to CNN, highly disagrees with the petition. "Disney hasn't stolen anything," she says, blaming social media for "blowing things out of proportion." Anyone else is free to use the phrase as much as they want — it seems like they just can't make money off of it. It's true that people on Twitter are raging on both sides of the argument. One person states that although "Some people may have heard 'Hakuna Matata' for the first time in The Lion King, for me, it's my language." "Doesn't make sense to trademark a word that wasn't yours in the first place," they go on to say. Another writes, "FOOLS! 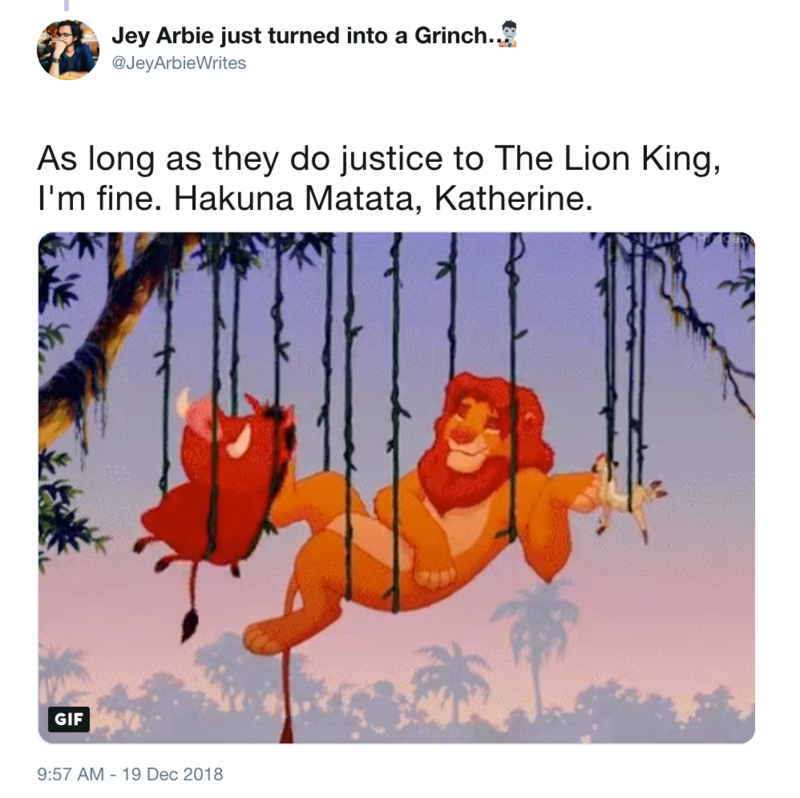 The phrase 'Hakuna Matata' is taken from a song by the same name, which has been hugely popular in Kenya, where it was written, for over 20 years — waaaay before Lion King. This is like the colonizers who stole African Art to display in their museums. Unacceptable!!!" 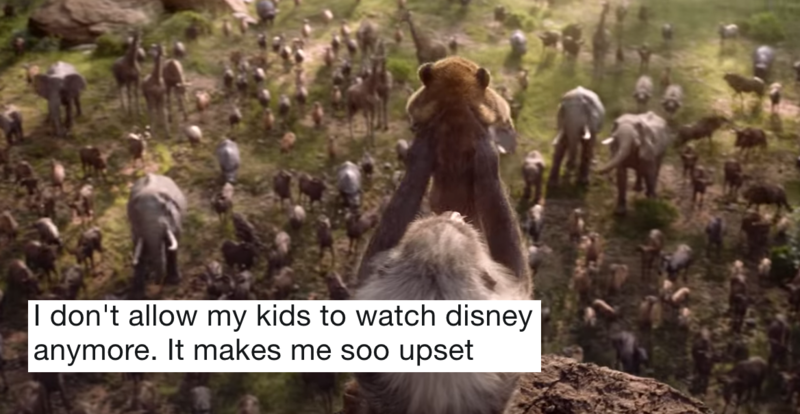 "Disney should be ashamed of themselves," tweeted a petition support. One woman adds, "Can they leave our language alone?" But others think this petition is total nonsense. One person who tried to explain it all in layman's terms, tweeted, "Guys, it’s a trademark. Doesn’t stop you from speaking it or writing it or even using it in movies. The trademark is for branding." Yet others believe this was a missed opportunity for Kenya. "The white man took two individual words, and trade marked them as a phrase and made it famous. Let him enjoy his moves," writes one person. Another adds, "It's not even colonial, it's a lack of self assertion and belief in our own as a people. Disney saw an opportunity, we didn't." 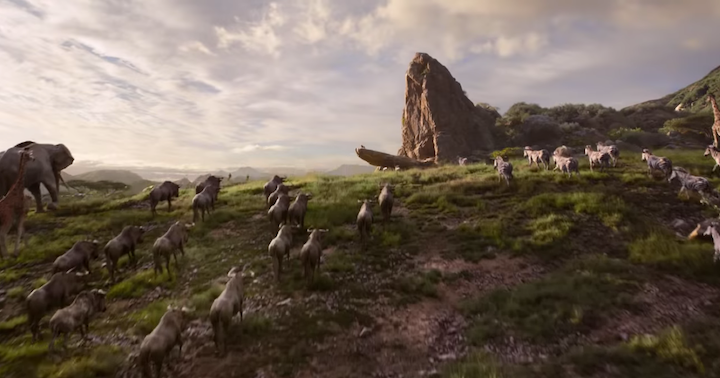 But many other people on the platform are just hoping none of this news gets in the way of the impending 2019 release of The Lion King reboot. "If this outrage takes away my chance at a Childish Gambino 'Hakuna Matata' rendition in the new movie, I will NOT be a happy camper," writes one person. "Lion King will not be Lion King without 'Hakuna Matata'. I actually like the 'Hakuna Matata' song, I started singing it after reading this. Now it's on repeat in my mind," adds another. Honestly, SAME. 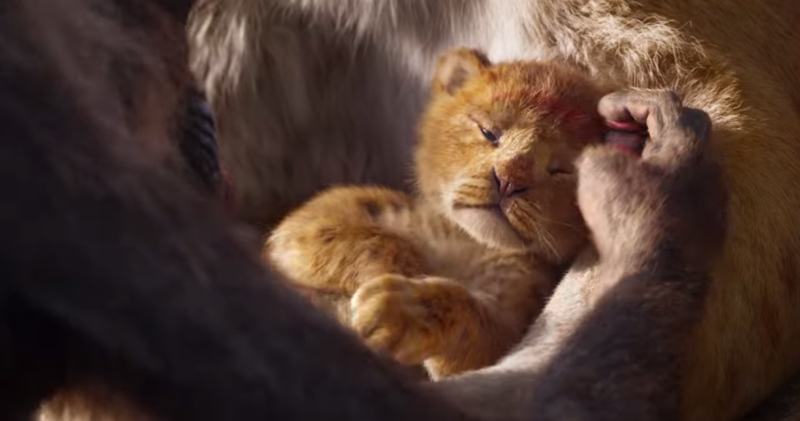 The more cynical of the lot think this might all just be "a publicity stunt to keep people talking about upcoming Lion King movie opening in theaters near you Feb 2019." Either way, catch the movie when it comes out to see if "Hakuna Matata" will actually make the cut with "no worries."